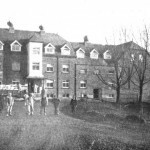 Posted 3 February 2014 & filed under 1950s, 19th century, Early 20th century, Mills, People, Work. 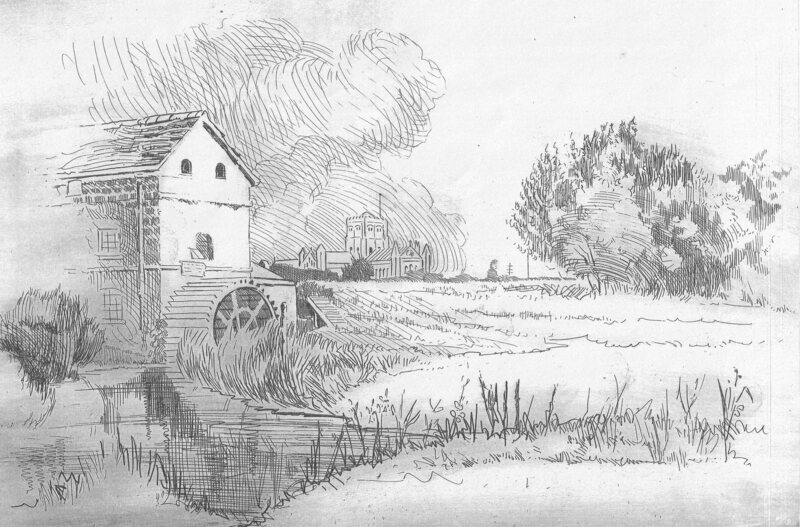 New Barnes Mill, situated in Cottonmill Lane, was one of the three old water mills along the Sopwell stretch of the river Ver. It is thought that there was a water mill there since 17th century. The Sopwell Manor map of 1666 certainly has it listed. 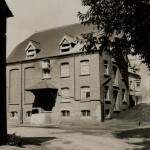 This flour mill , was rebuilt in 1890 by by the Earl of Verulam, whose son the earl of Grimston was living on the estate at Sopwell House, formerly New Barnes House. In 1915 according to an article about the mill in the journal Milling 2 January 1915, a Mr W.F.C. George managed the mill. 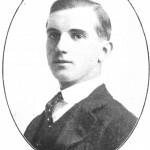 He learnt the trade at the Whitworth Brothers mill at Wellingborough. The wheat used was farmed locally and was said to be ‘first class native wheat’. Although there was some water power, it was mainly powered by a steam engine. However, there were plans to convert it to electricity. There was already electricity in the mill. There were a dumping hopper and an intake elevator at the bottom of the mill. When the wheat arrives it was sent to eight large storage silos. 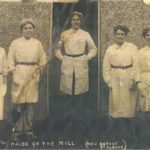 The journalist who visited the mill that day had nothing but praise for the milling process, the quality of the flour and the efficiency of the workforce, especially Mr George. The British Flour Research Committee ran the mill from the 1920s. The Cooperative Wholesale society took it over in the 1930s; and then Whitworth Brothers in the 1950s. Michael Clark remembers that when sliced bread first arrived, Weetabix had a depot at New Barnes mill delivering bread to shops, before supermarkets. Weetabix was owned by Whitworths. The mill no longer functions as such and is now used as offices. Thanks Jacqui for putting us right. Photos get bandied around a lot and one should always respect copyright law. I am very interested In your article about New Barnes Mill as I have recently found a family connection going back to 1841. The 1841 census shows that living in the mill was John Warren the miller aged 29 and he is my great-great-grandfather on my mother’s side. Also living with him was his wife Elizabeth, his mother-in-law and children Alfred my great -grandfather aged 3 and Mary an infant. The 1851 census shows they were living at 25 London Road and John was still a miller and was born at Wheathampstead and that his wife was born at Harpenden. By then there were four more children Emily, Elizabeth, Jane and George. The 1861 census shows they had moved to 195 New London Road and the children still at home were Alfred now also a miller, Emily, Elizabeth and Jane working as straw plaiters and sewers for hats and three more children George, Susan and Ellen. The 1871 census shows that they are still at 195 New London Road but the only children still at home were Jane, George, Susan and Ellen. 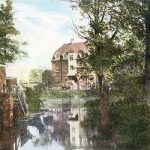 Although John Warren remained a miller for this long time, he could also have been working at other local mills such as Sopwell after he left living at New Barnes Mill. Moving forward about 100 years, I was born in St Albans in 1937 and until 1961 lived in two family homes in Birklands Lane, not far from the mill. As a youngster I remember cycling around the area totally unaware of the historic association with the mill. 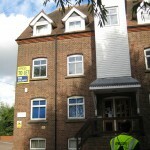 I remained living in St Albans with my wife and two daughters until 2001. Until this recent discovery, all the information on my Warren ancestors related to Dunstable and Harpenden where my grandmother Emily Elmes lived before she married Ernest Lonsdale Warren. The Warrens were straw hat manufacturers and had factories in Dunstable and Luton. On my father’s side I also have family links with St Albans going back to the late 1700s. My great-great-great grandfather Thomas Wilkins a cordwainer had leases, for 49 years from the mayor of St Albans, the clocktower and a shop building wrapped around it, but long since demolished. I also have links with the Oakley family probably more well known for the grocery store in St Peters Street. I am still carrying out further research and may be able to add to this information in due course. However it would be interesting to know if you have any information I could add to my story. If you let me have your email address, I can send you copies of the censuses and family trees. Thanks for your interesting family history Michael. Hopefully more information will come to light now.